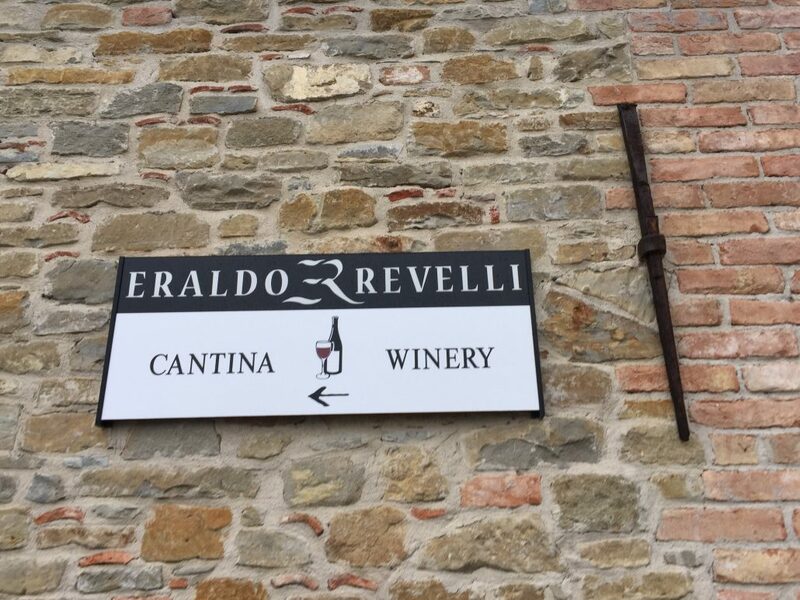 Eraldo and his daughter Claudia of Az. 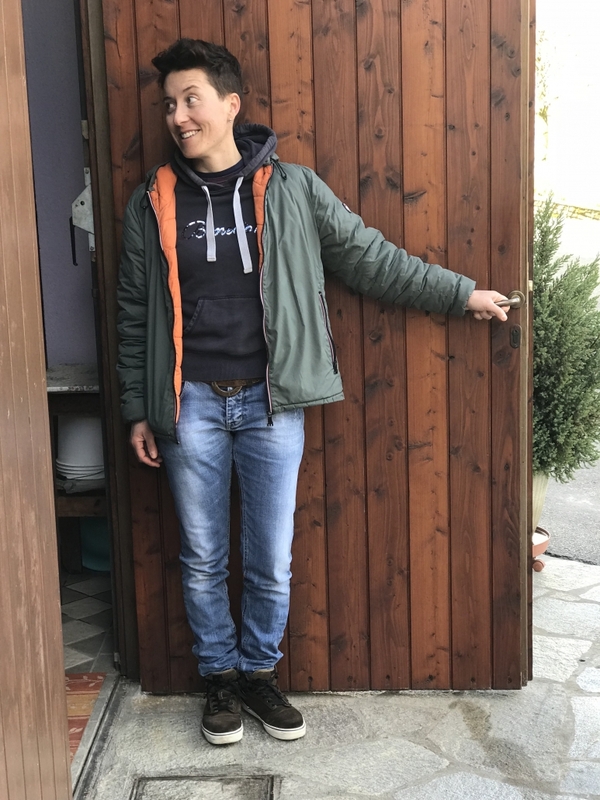 Agr. 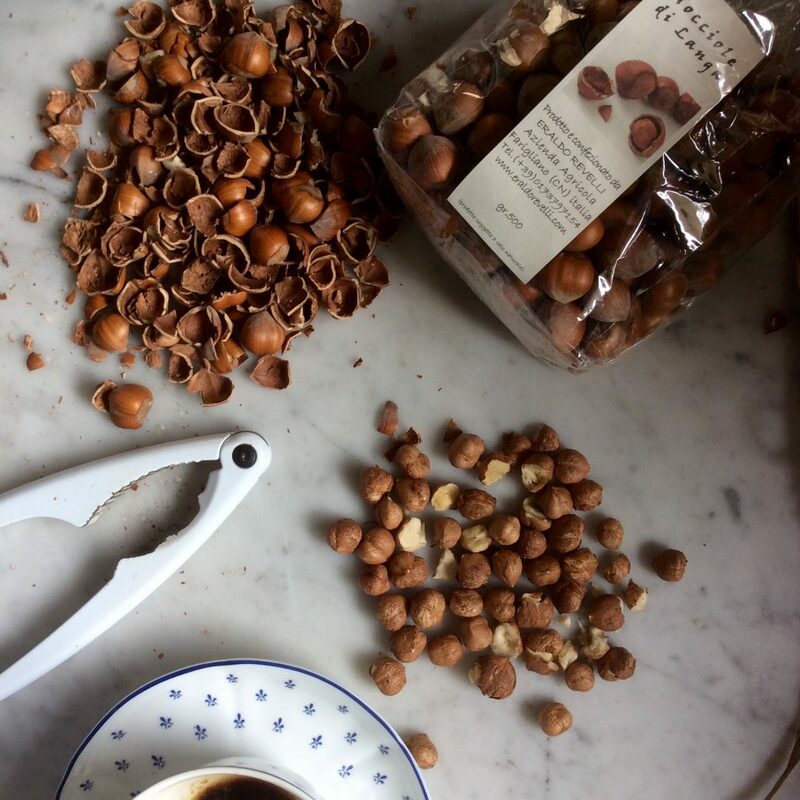 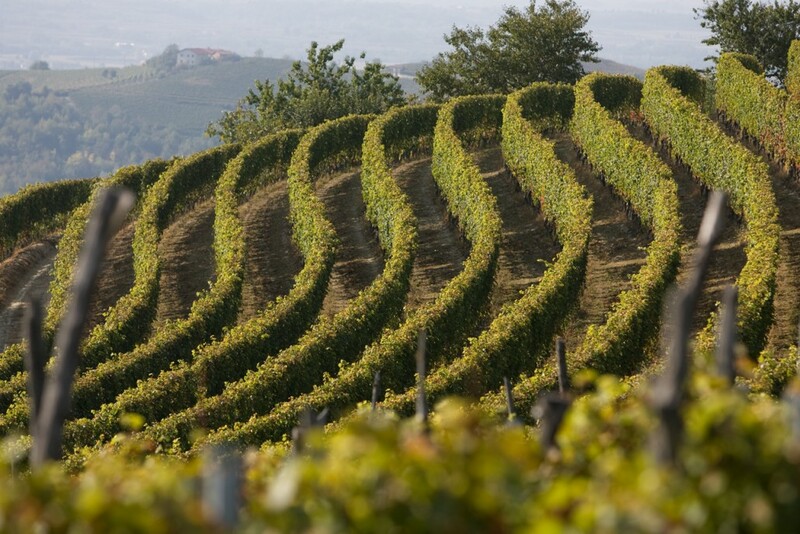 Revelli are located just a few kilometers above Dogliani in the village of Farigliano. With a location and exposition at 450 meters, the Revelli’s vineyards enjoy a particular microclimate that ensures good temperature variation and sea breezes due to their proximity to the Ligurian coast. 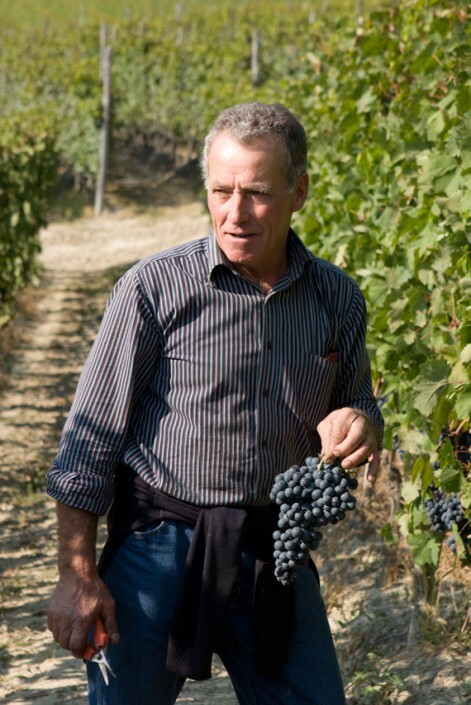 And as second and third generation viticoltori they are wise to take Dolcetto seriously. 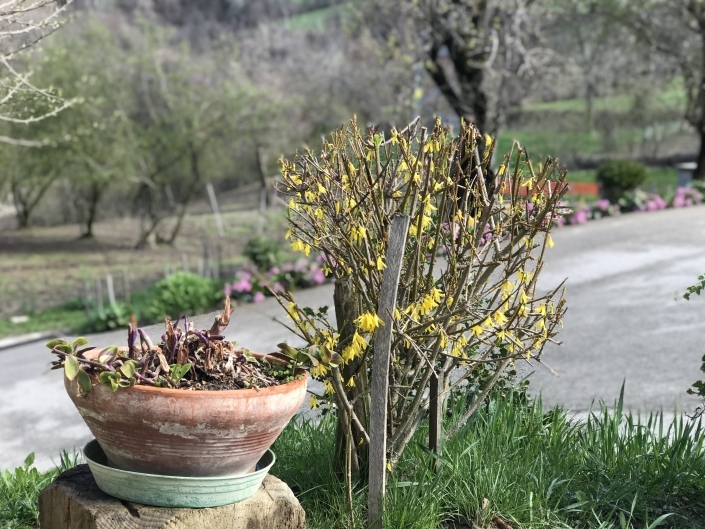 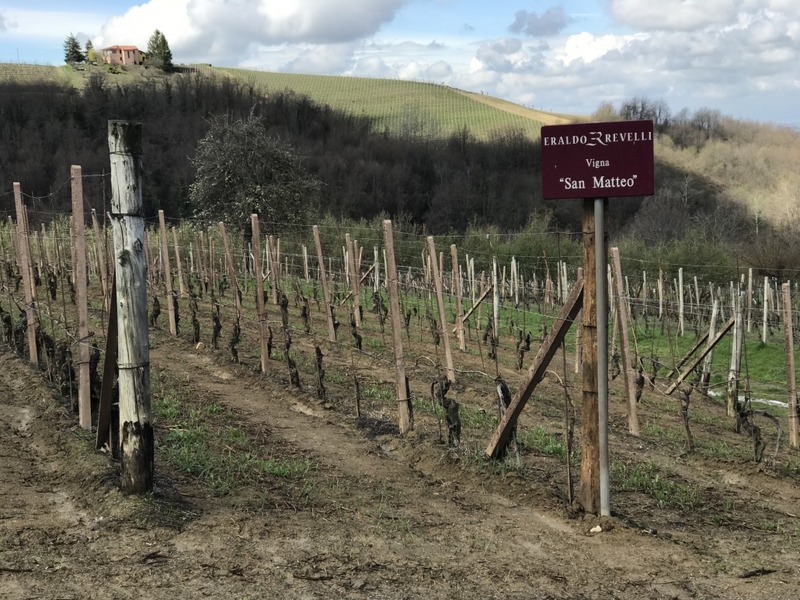 Here in southwestern Italy’s Langhe region, the most regarded vineyards are thriving with Dolcetto—those that would have been routinely planted to the noble grape Nebbiolo. 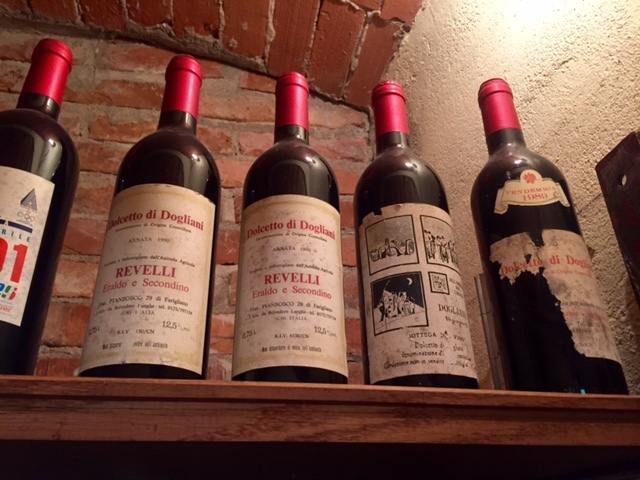 Since 1930, the Revelli’s, like many Dogliani producers, gambled that Dolcetto cultivated under similarly optimal conditions (southwest exposure and limestone/clay/silex soils) could yield great, age-worthy results. 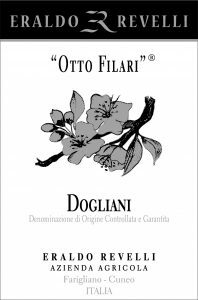 Awarded DOCG status in 2010, Dogliani is now synonymous with Dolcetto and since 2011 the varietal name actually no longer appears on the label. 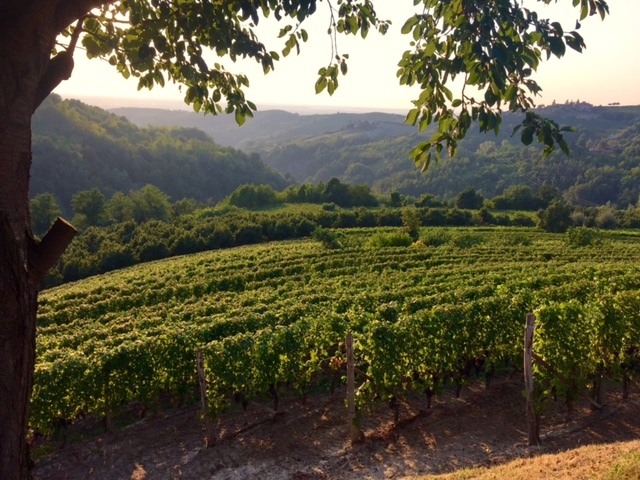 In fact, “Dolcetto,” or “duzzet” in Piemontese dialect, actually refers to the curvature of Piedmont’s hills on which the varietal flourishes rather than the little/sweet varietal for which it is often confused. 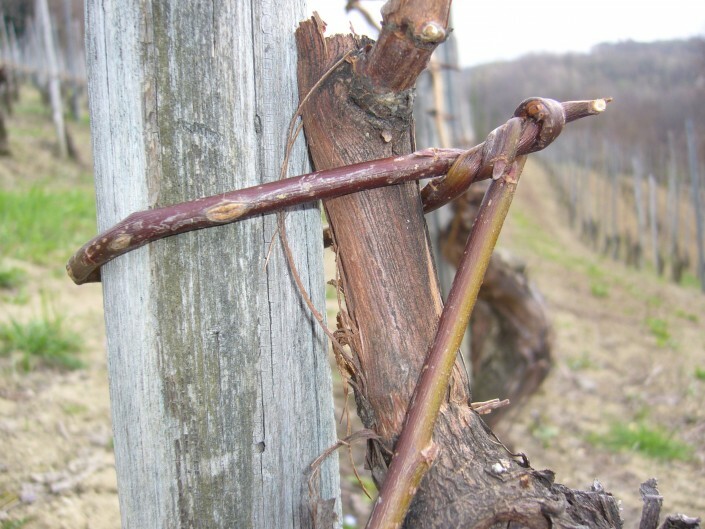 Claudia intimated the historical potential for Dolcetto and explained today’s requisites for the Superiore designation. 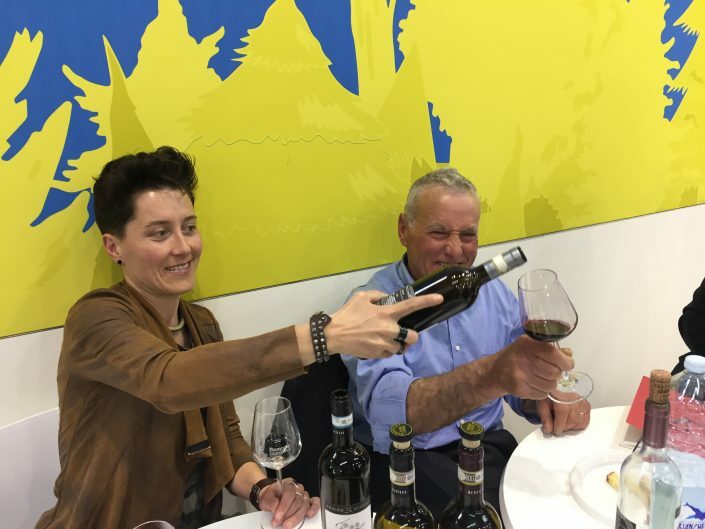 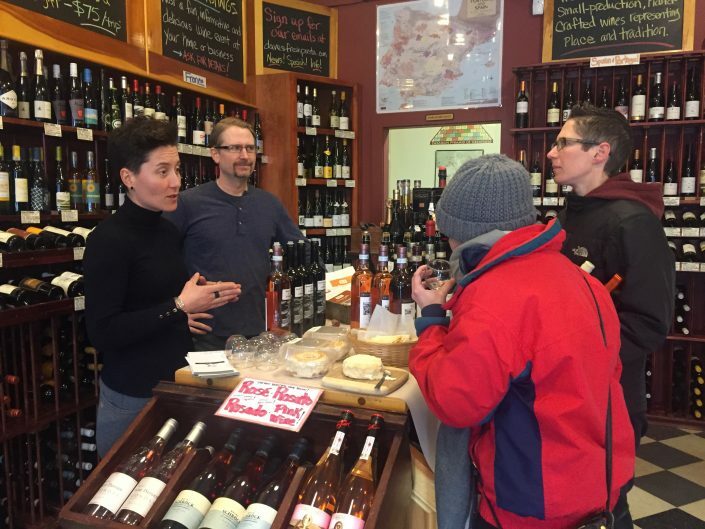 She explained that the DOCG very much raised the bar for its producers by restricting yields to 80 quintals/hectare, requiring one full year of vat or barrel aging before sale, and a minimum of 13% alcohol in the wines. The Revelli family’s forty year-old San Matteo vineyard, named after the church at its limits, produces well under those DOC requirements. Unlike many of their producer peers that struggle to cultivate and vinify the persnickety Dolcetto grape, Eraldo and Claudia’s wines prove that they have mastered the varietal. Expect very clean, vivid wines from this father/daughter team. 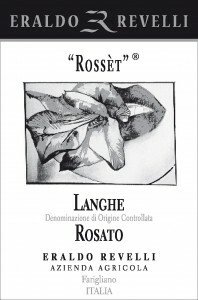 Langhe Rosato “Rossèt”: A Dolcetto-based rosato that hails from a southwesterly exposed vineyard called “Giachin” at 450 meters. 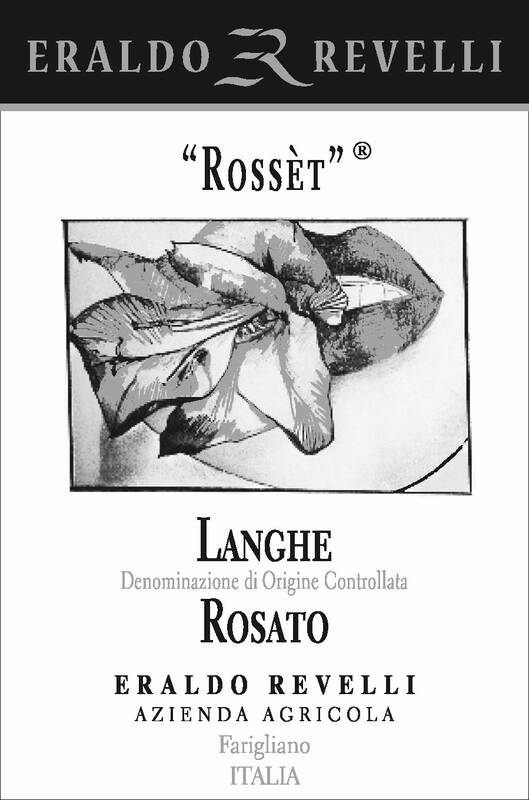 Planted in calcareous-clay soils, the average vine age is twenty years, making it ideal for producing a fresh, lively, and fruity wine like this rosè. This wine sees just a matter of hours of maceration, imparting a lovely, subtle pink hue. “Rossèt” is Piemontese dialect for “lipstick,” which rather refers to winemaker Claudia Revelli’s conception of rosè; that is, that it should be light, fun, and flirtatious on the palate! 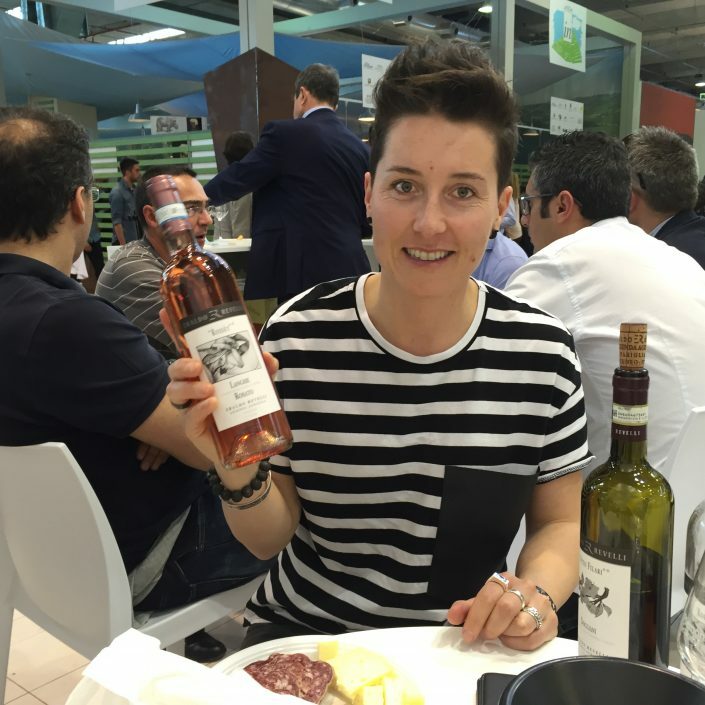 Her rosato shows bright cherry fruit, faint herbs and floral notes with a mineral finish. 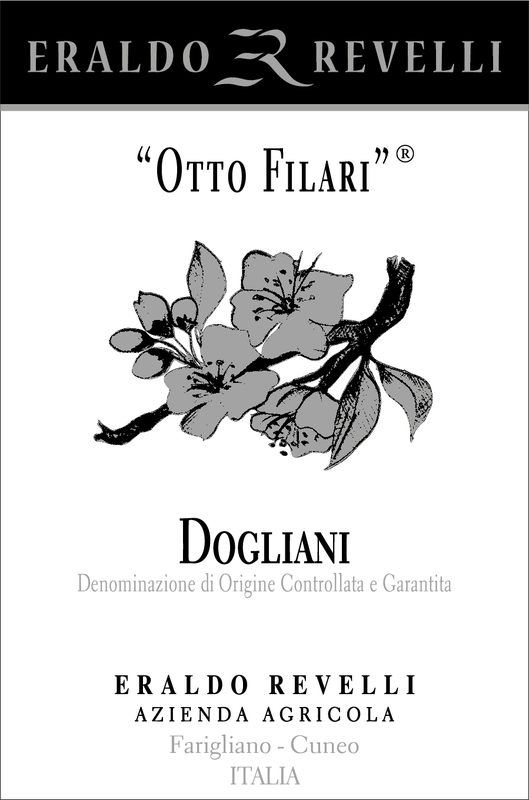 Dogliani “Otto Filari”: A silky Dolcetto that comes from the Revelli’s organically cultivated “Otto Filari” vineyard (15 yr vines) located at 480 meters in Farigliano, perched just a few kilometers above the town of Dogliani. Its altitude and exposure guarantee ample fragrance and ripeness, translating into an expressive, lush palate of blackberries, wild cherries, and herbs. 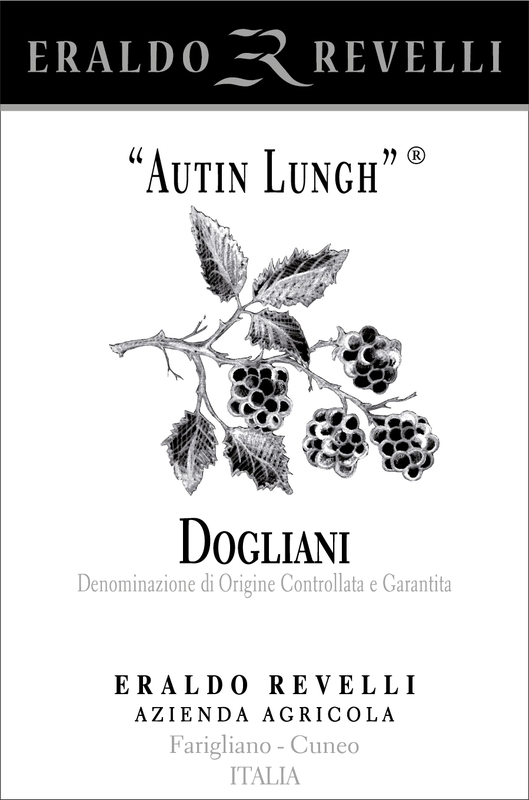 Dogliani “Autin Lungh”: An expressive, single vineyard Dogliani that comes from the Revelli’s “long vineyard,” (Autin Lungh in Piemontese dialect) that has vines of 25 years. 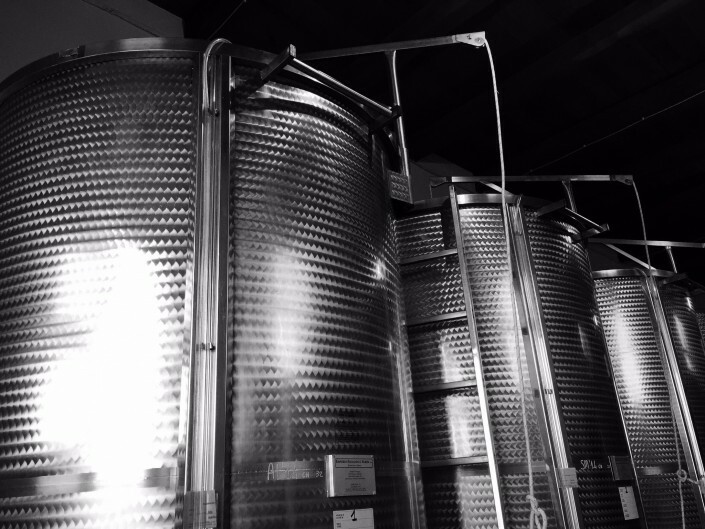 This wine is vinified and elevated in stainless steel casks for a year, maintaining all of its bright fruitiness. 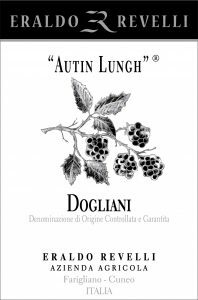 Autin Lungh shows a deeper, more persistent berry fruit and herbal notes with a longer, lingering finish. 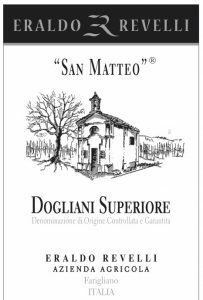 Dogliani Superiore “San Matteo” DOCG: Macerated 15-20 days and elevated in large oak barrels, the resulting wine is an expression of the Revelli’s best cru whose vines now have forty years. 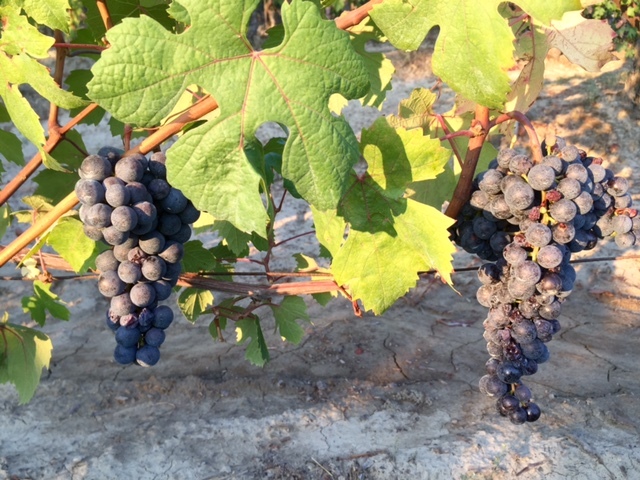 Varietal character is unmistakable with its lively, purple hue and alluring berry/anise aromas on the nose. 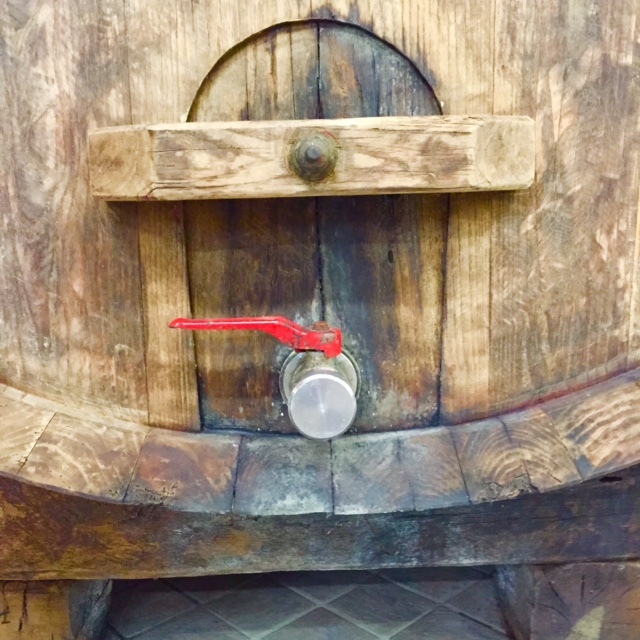 The palate is persistent with bright cherry fruit, hints of almonds, and sweet spices with a whiff of cocoa on the finish. 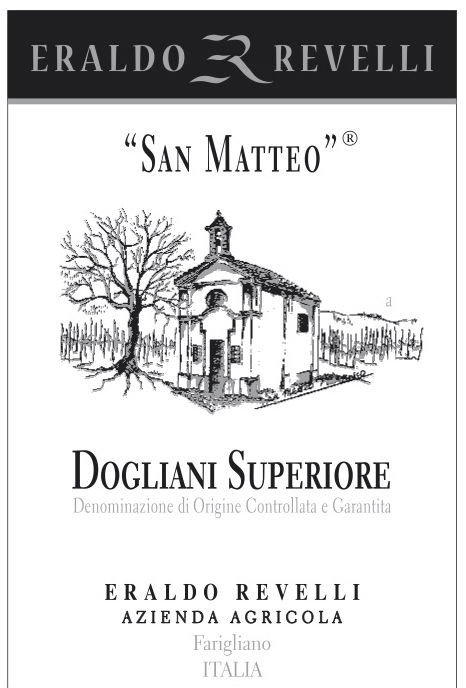 Quite dry, with hardly any detectable residual sugar, San Matteo’s chewy tannins and vibrant acidity make it an impeccable candidate for flavorful meats, aged cheeses, and earthy/roasted vegetables.